kt literary » Blog Archive » Glowing Kirkus review for AN ENCHANTMENT OF RAVENS! Glowing Kirkus review for AN ENCHANTMENT OF RAVENS! 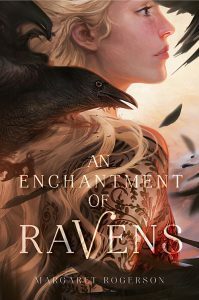 Congratulations to Margaret Rogerson whose debut young adult fantasy AN ENCHANTMENT OF RAVENS earned a glowing review from Kirkus this week! ← Happy Book Birthday QUEST TO THE UNCHARTED LANDS!